When I was growing up, just about no one that was a Minnesota resident would ever be caught with a perch on his stringer. Most people at the time would bounce one off the top of their motor, so it couldn’t bite again, or cuss and grumble that they got a perch bite, regardless of the size. My dad, who is one of those old-time residents, thinks if it’s not a walleye it’s not a fish. Although, he will keep a few crappies, and he still ask me at times “are you keeping those grubby perch for people?” But times have changed, and when word got out in the late 70’s and 80’s about all the perch in our area lakes, along with no limits, people from the surrounding states came by the hundreds. Minnesota residents started to take notice, and started to think maybe all these people can’t be all wrong. Now 40+ years later the perch is sometimes preferred over the king of Minnesota fish - the walleye. With the coming of the Minnesota fishing opener, walleye fishing starts, and most people (residents or nonresidents alike) no longer just chase perch only; perch fishing is put on the back burner. But for those of you that want to get away from crowds, and look for “the other walleye”, here’s what you might want to look for. Perch begin spawning just before the water temps hit 50 degrees F. Look for them along sparse weeds. They don’t like thick vegetation, but prefer transitions from hard to soft bottom or sand where weeds are thin. 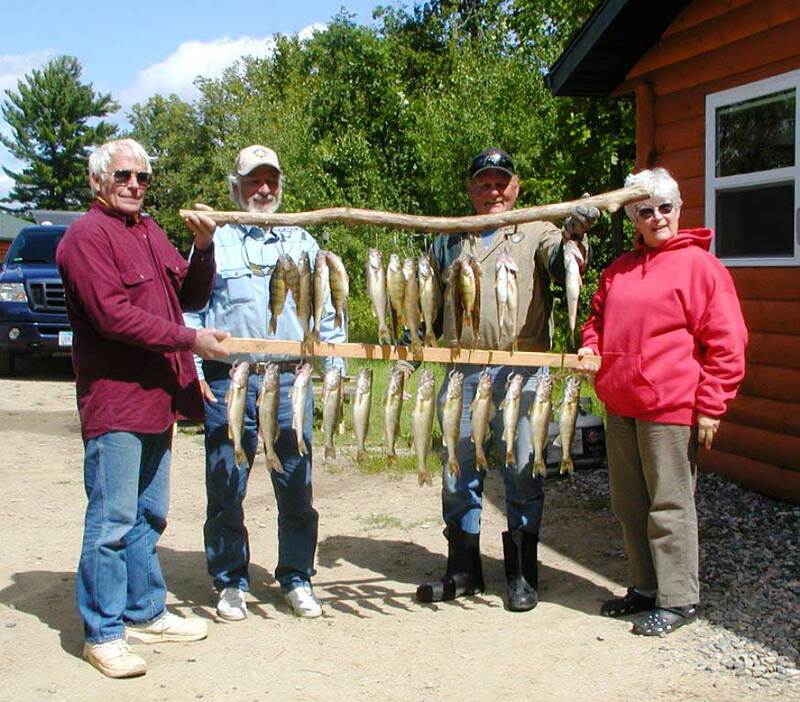 On lakes like Big Winnie, you’ll find the perch this time of year in areas that have a lot of sand grass, usually a little shallower then the walleyes, although sometimes they’ll be mixed together. Use the lightest jig you can get by with in these sand grass areas, even as small as 1/32 oz. ; just stay in contact with the bottom. The wind will determine the size of the jig on any given day. Check your jig often to remove any grass you pick up; also you’ll want to jig more aggressively to keep the jig just off the bottom and on top of the sand grass. You’ll want to cover ground fast at first, until you locate a school, then go back and slowly fish the area. Perch are concentrated until the water temperature climbs above 55 degrees F. You won’t want to spend too much time in any one spot until you locate a school of jumbos. These are perch that measure 9 inches and up. Once you find them, anchoring is a good idea. I’ve caught a lot more perch along side the boat then fishing away from it at times. They seem to like to concentrate under it, like a dock. I use Northland Gum-Ball multi-colored jigs 1/16 oz. or 1/8 oz. tipped with small chubs most of the time, but you can cast a Rapala Jigging Rap, Northland Puppet Minnow and Northland Thumper Jig with good results. When the water temps climb to 55 degrees F to 60 degrees F, perch start to spread out into deeper water, making them a lot harder to locate. You’ll find them in areas where the mayflies hatch, which is usually deeper water along the edge of structure 25 to 35 feet. Look for the transitions between the hard and soft bottom. I have also found them on the very top of this structure. I vertically fish the perch in that depth with a 3/8 oz. Northland Fireball Parrot colored jig tipped with a minnow or piece of crawler. In both situations, you can pick up a bonus walleye or northern pike, and those deeper pike at this time of year are usually in the larger size range. Then as the summer progresses around mid July and on, start to look for perch feeding on the young of the year crawfish. Look for deeper rocks 12 to 18 feet. With good electronics, you’ll be able to see schools of perch mainly on the very top. Again I like to vertically fish them, with 1/8oz. Northland Gum-Ball Parrot colored jig. 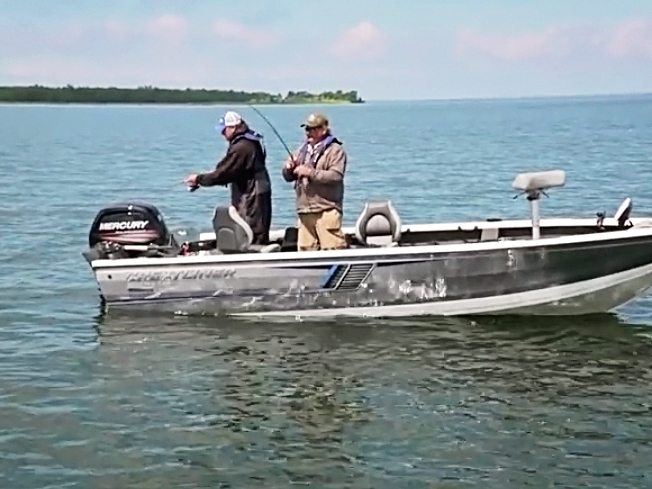 You can hold the boat with the trolling motor, or anchor up. Then just drop over the side of the boat and fish straight down. 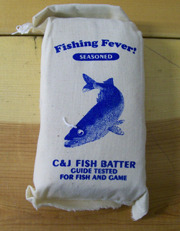 As summer starts to fade into fall, perch, like all fish, start to put on the feed bag for the long winter ahead. They will move in towards shallower rocks and in and along pencil reeds. These fish can be as shallow as 3 feet this time of year. You’ll want to fish fast through these areas, to locate a school, as these area can be vast in size. Like before, when you locate a school, anchoring up is best way to stay on the school, and by now you know I’m a big jig-minnow fan. Jig minnow combo is a great catch-all-species presentation, and you’re also likely to pick off a crappie or two at this time of year, or any other species that gets in the way. Have a great 2013 fishing season. Be safe and have some fun. 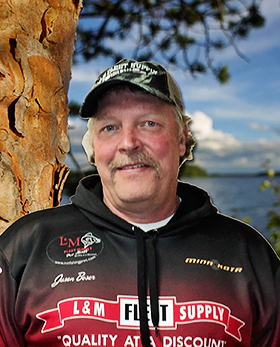 Meet the MN Fishing Pros! Fish cleaning and packaging at the end of your guided trip is included in the trip price. Rates for a full day or half day guided fishing trip are reasonable and include bait, fish cleaning and packaging services as well as use of pro's boat, fuel, fishing equipment and safety gear. 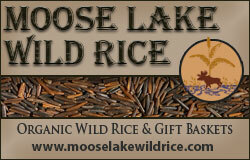 Clients need only bring their valid Minnesota fishing license, rain and/or cold weather gear and food & beverage. Fishing trips may end sooner if the limit of fish is caught. A $100 deposit ($100 per boat for group trips) is required to hold your reservation for a guided fishing trip with a MN Fishing Pro. Please send check or money order to the guide with whom you have booked your trip. The date of your full or half day fishing trip is not guaranteed until your deposit is received. 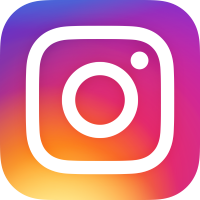 Just fill out our easy Check Availability Form and you'll hear back from your guide within 24 hours. After you have confirmed the date of your trip with your guide please send your deposit along with this Reservation Form. 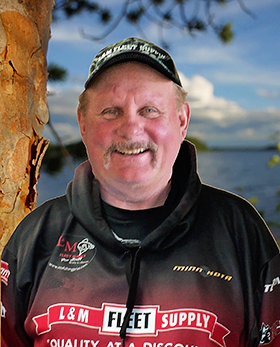 Listen for Charlie and Jason on "Fishin' Paul Bunyan Country" on Continuous Country KB 101 in Bemidji at 12:30 and 5:30 pm Monday through Friday beginning May 2 and continuing throughout the fishing season. 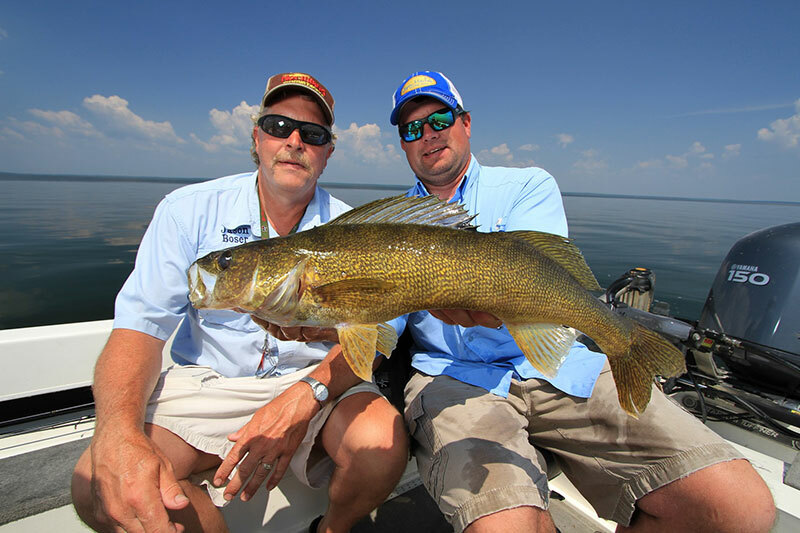 We can help you plan a memorable Minnesota Fishing Vacation with a professionally-guided fishing trip on any of the hundreds of lakes in Northcentral Minnesota, including Lake Winnie. Click here to check out our Preferred Resort Partners list. These are resorts hosted by folks that we know treat anglers right! 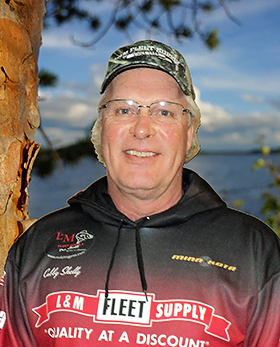 Weekly fishing tips in the Manney's Shopper April - September! Comments/Questions? Contact Shannon Barnett Web Design.